The words ‘Laura Ashley’ and ‘tea room’ belong together as naturally as ‘scones’ with ‘jam and cream’. 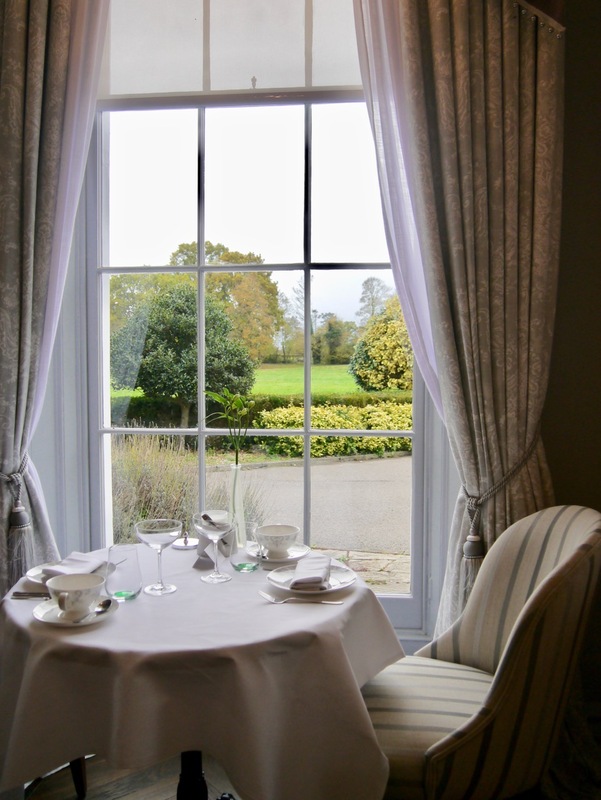 Only a 15 minute drive from Maidenhead, the drive into the Burnham country side was awash with autumn foliage and I was eager to visit the new Laura Ashley The Tea Room at Burnham Beeches Hotel. 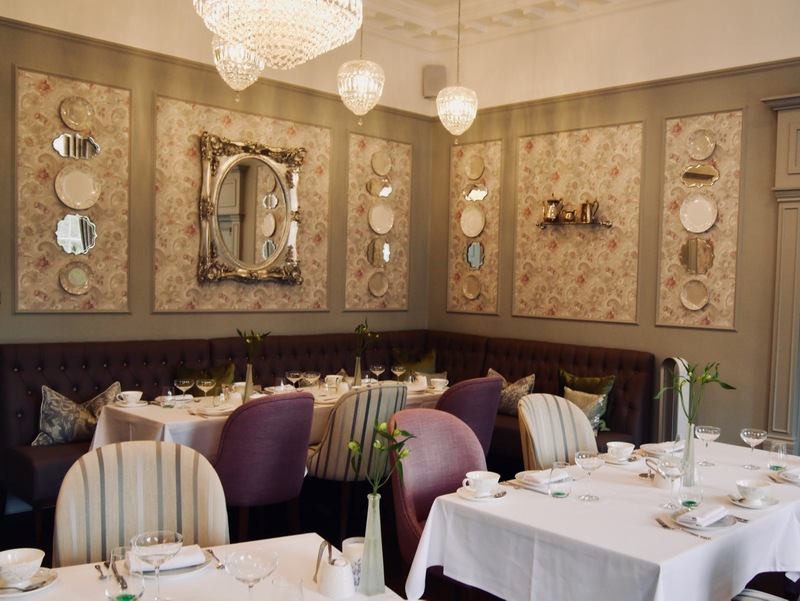 A delightful and discreet country-side hideaway, the Laura Ashley tea room is perfect for those looking to enjoy high tea without the crowds of the larger hotels and manor houses. Decorated in signature Laura Ashley style, the room is bathed in sunshine from the floor-ceiling windows that look out onto the landscaped grounds and gentle shades of purple with silver accents. Everything is as you would anticipate, from the elegant green-bottomed glassware to the stylishly cosy nooks. With only one large table (to accomodate six), the room is filled with smaller tables designed to maintain a certain quietude. 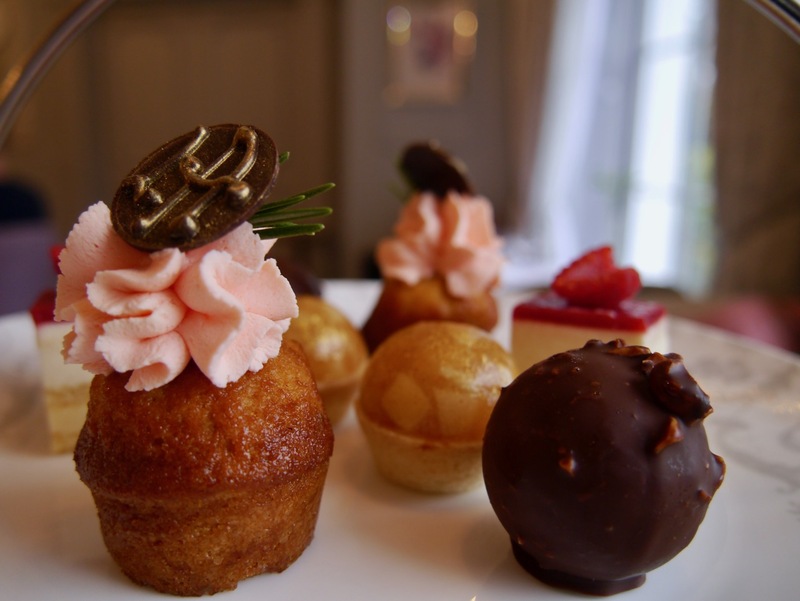 Among the patisserie assortment on our plate was a chocolate-covered, chocolate and hazelnut mousse ball filled with salted caramel, a gilded and dainty dome-shaped apple pie and the most incredibly soft and delicious pumpkin and rosemary cupcake topped with the lightest, pink-tinted whipped cream. 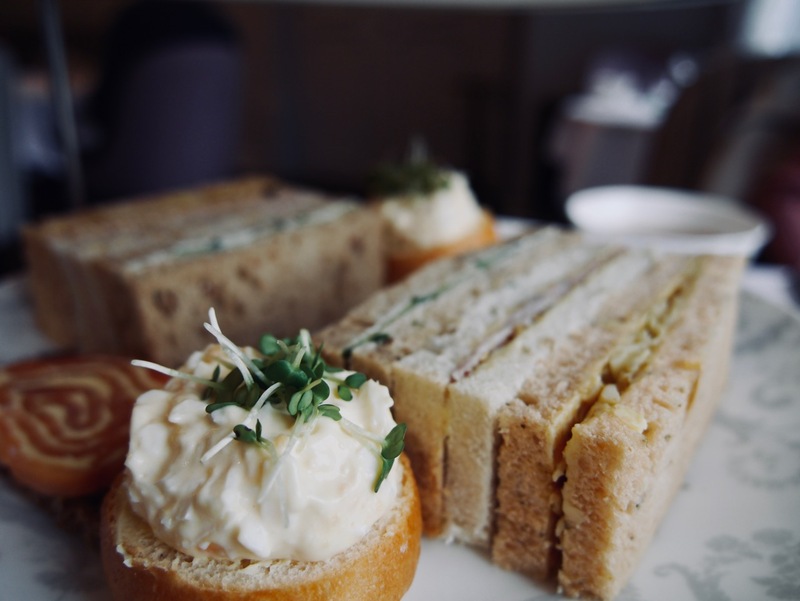 With prices starting from £24 per person, guests can go for Prosecco, Champagne, or Hattingley Valley English sparkling wines and ofcourse, tea or coffee.